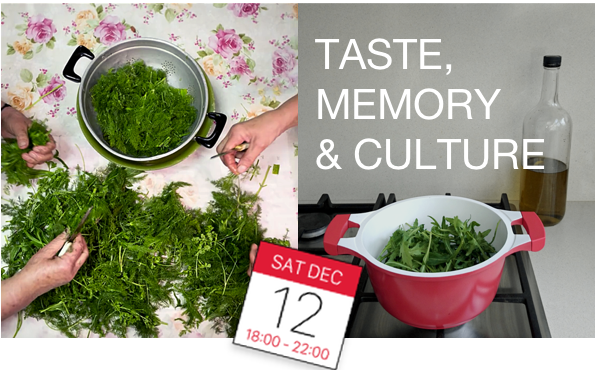 …to food for the mouth and the heart..
Katerina Pouliasi will guide you in a visual and narrative voyage through our taste sensitivities, our childhood memories and their ‘hidden’ effects on our cultural behavior. These sensitivities are already rooted when our life began as an embryo, to be further shaped in our childhood, and later embodied as ideals .. Yet, they are also evolving by experiencing the ongoing world-wide mixing-and- matching of new flavours, aromas and textures ! Nevertheless, no matter how cosmopolitan we may feel we have become, our first beloved foods remain alive within us and can become mysteriously powerful! 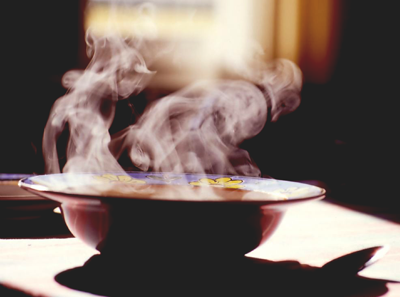 Scientific research shows that images and aromas from our childhood can activate our cultural identity and unconsciously guide behavior associated with that identity! Especially, when living abroad..! Since childhood, Caterina was interested in cooking with ingredients and “cooking” with words. Her latter cooking led her to become a translator, interpreter and children’s books writer, who enjoyed preparing food for herself and her friends. What was a hobby for more than 35 years, became a plan when she moved in the Netherlands in 2008: shortly after her arrival, she thought of creating a company that would pay tribute to olive oil.In 2011, she made her dream come true and started Olivity, as a home-based business. Nothing brings a greater smile to her face than watching her customers enjoy the food she lovingly prepares for them. Registration was required as we would accommodate a limited number of participants and we also liked to take participants cultural background into account.